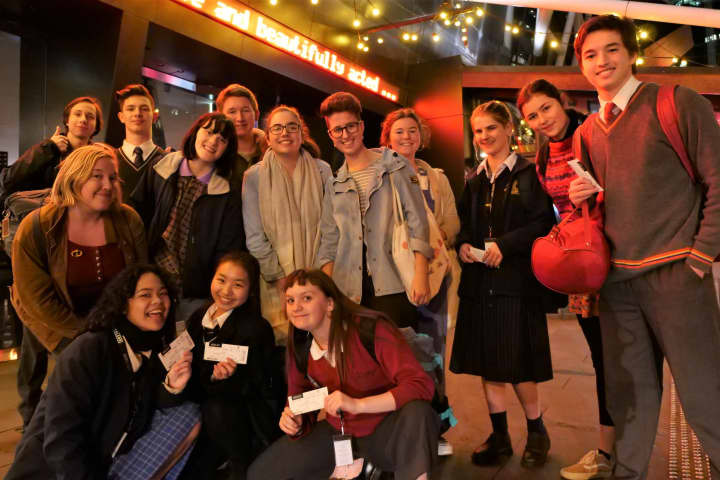 Heralded a genius and the playwright of his generation, the writer behind Gloria is making waves in contemporary theatre. As a self-described ‘bookish’ child, Branden Jacobs-Jenkins grew up in a community in Washington, D.C. where theatre and performance were at the forefront of the social agenda. He read every copy of The New Yorker he could find, handing over a dime at the public library for old issues as often as he could. The young college student remembers feeling as though his calling had shifted. ‘I remember parting ways with him and feeling my mission in life had changed – suddenly I had to hurry off and read every play in the library, just to understand what plays were.’ From Princeton, he ventured off to study his Masters in performance studies at New York University. However, when an opening at The New Yorker for an editorial assistant in the fiction department came up, the bookish child in Jacobs-Jenkins could not look past the opportunity. For a recent graduate in his early twenties wanting to write fiction, a seat at the editing table of Manhattan’s most prestigious magazine should have been a dream come true. But, Jacobs-Jenkins was left wanting more. Throughout his tenure, from 2007 to 2010, he started busily penning the first in a series of critically-acclaimed plays, which would set the tone for his canon of work. This time at The New Yorker would also unwittingly inform the foundation of his play Gloria. Jacobs-Jenkins first play Neighbors, written in 2008, attempted to encapsulate the entire history of blackness in the theatre, a story which began with black face minstrelsy. 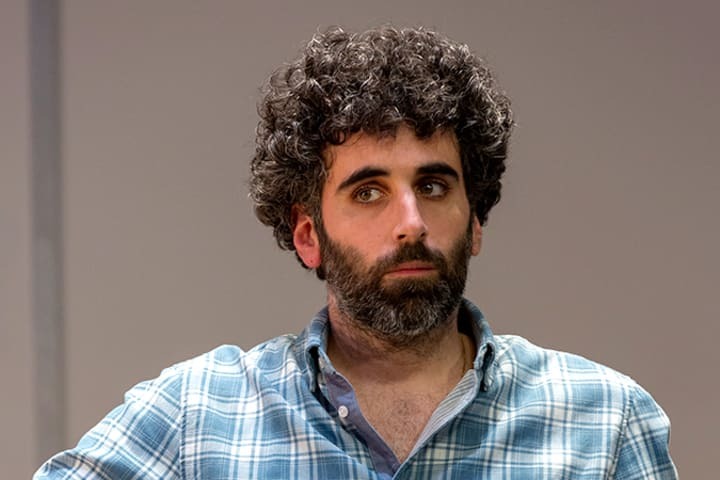 In his play Appropriate (2014) he dissected America’s understanding of what a typical American family drama looks like and how the ideas of a white family are encoded in America’s theatre psyche. An Octoroon (also 2014), saw the playwright radically adapt an 1859 melodrama set on a slave plantation. Neighbors, Appropriate and An Octoroon, although not a trilogy, all delve into the historical relationship between American theatrical forms and the perception of blackness in contemporary society. The young American picked up the 2014 Obie Award for his plays Appropriate and An Octoroon. At the time of accepting the award he said, ‘This is crazy. 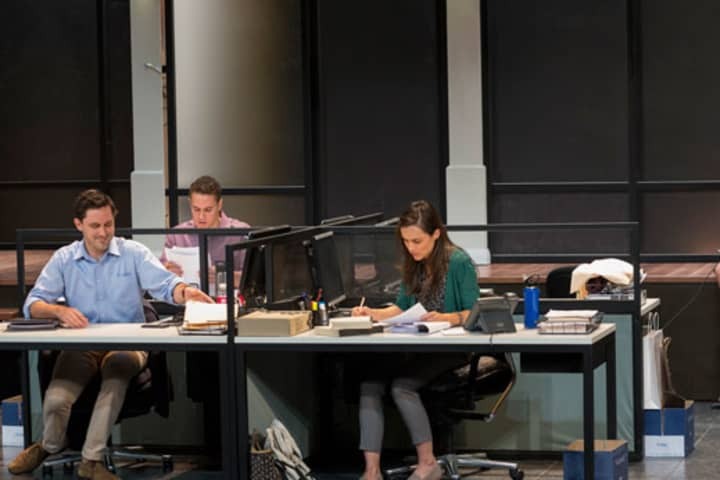 Between these two shows I think I’ve probably had every emotion you can have.’ Both works secured Jacobs-Jenkins as one of the most promising playwriting voices of his generation, as his professor at Princeton had predicted. A few years after leaving The New Yorker, Jacobs-Jenkins was in Berlin on a Fulbright Scholarship when the idea to write Gloria came to him. He was jobless at the time and craving the daily structure of an office environment. However, he says none of the events in Gloria were taken from his lived experience at the publication. 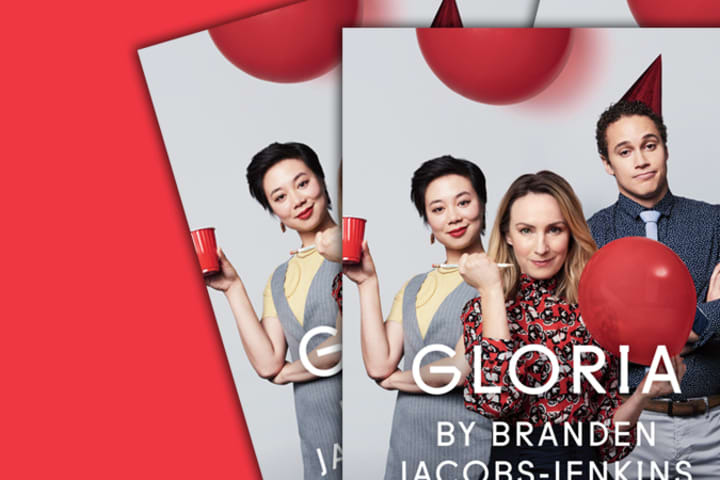 Branden Jacobs-Jenkins Gloria is playing at Southbank Theatre until 21 July. Branden Jacobs-Jenkins image by Celeste Sloman.